Russian business daily Vzglyad reported on Friday that while Romania is considering purchasing American F-16 fighter jets to replace its Russian planes, it is not without trepidation. Its Eastern European NATO neighbours – Poland, Slovakia and Hungary – have also had a turbulent flight towards the modernization of their air forces. While they intend to eventually phase out Russian aircraft, Russian MiGs are considered straightforward fighter jets for effectively intercepting airborne threats and the new NATO members are far from ready to give them up. The eponymous Russian MiG-29 jet fighter still forms the basis of the NATO members’ air forces. Hungary has 26, Bulgaria has 20 and Poland hangs on to 72 of the jets. Slovakia has taken the path of upgrading its MiG-29 jets with Russian cooperation. And Romania operates a fleet of Russian-made jets that have been fitted with Israeli technology. According to Vzglyad, the new NATO members are reluctant to advertise their dependency on Russian military aircraft. 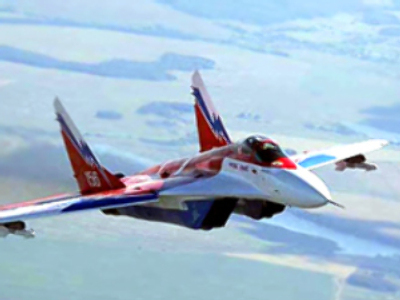 The Russian Aircraft Corporation, which produces MiG jets, estimates that the world market in refurbishment of the Russian jets could be worth $US 8 billion dollars.